Hi! I’ve been searching all over for this flyer. My name is Aja Cooper, I’m Norman Cooper’s daughter, who’s the bassist pictured on that flyer! 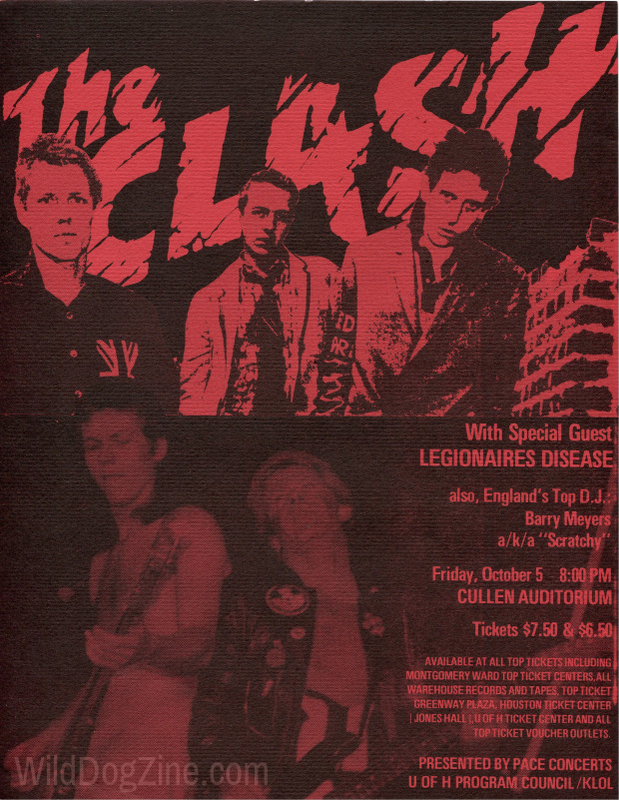 He was in Legionaires Disease with Jerry, and was so proud to tell me about playing with The Clash. He died about 15 years ago. Do you by any chance have another one of these flyers? I’ve been trying to find one for years, I can’t tell you what it would mean to me. So glad to see someone preserving Houston punk. Thanks so much! Thank you for reaching out to WDA and for the support, Aja! We will definitely send a copy of this flyer to you and in memory of Norman Cooper.